We take a look at a new report from Cass Business School which reviews the best options for looking after Pension pots in retirement. A new report from the Cass Business School1 and the International Longevity Centre (ILC) suggests that taking out an annuity at the start of retirement is not a good idea. Although this conclusion matches our own analysis of the subject (see here), it’s still surprising. We last met the ILC back in April, when we were not impressed by their report boosting annuities at the expense of income drawdown. 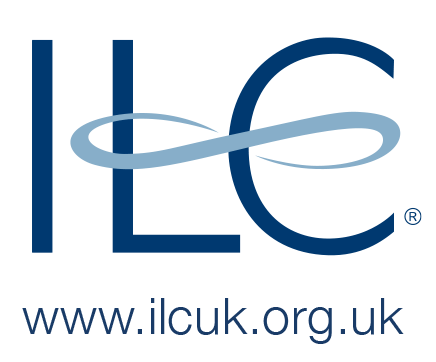 Six months on from the pension freedoms introduced in April 2015, the ILC makes clear in its foreword to the new report that although they still like annuities, the public are less keen. It is clear that since the end of compulsory annuitisation, these products are falling out of favour. Historically around 75% of people with a DC pension converted it to an annuity. They provide guaranteed income, removing investment and longevity risk. Unfortunately, low interest rates and increasing life-spans mean that they are poor value. The typical UK pension pot of £20K would provide an annual income of less than £1K pa at age 55. The report focuses on a retiree aged 65 (and therefore eligible for the state pension) with a pension pot of £100K. This feels like a compromise to me. It looks as though this scenario may have been cherry-picked to demonstrate a fine balance between the annuity and drawdown options. The analysis looks at total wealth (pension pot plus property plus other assets) but excludes the cost of long-term care. This is mainly because most people can’t afford to fund it themselves – including large pot sizes in the analysis would have allowed this. Poor health affects longevity and therefore the value for money of an annuity, but may enable qualification for an impaired annuity with enhanced rates, which can give the impression of giving better value for money. Homeowners can downsize or use equity release as a source of additional funds. if the money was bequeathed on death (by eg. using it as a deposit on a house); if the retiree lives for seven years, there is no inheritance tax to pay. 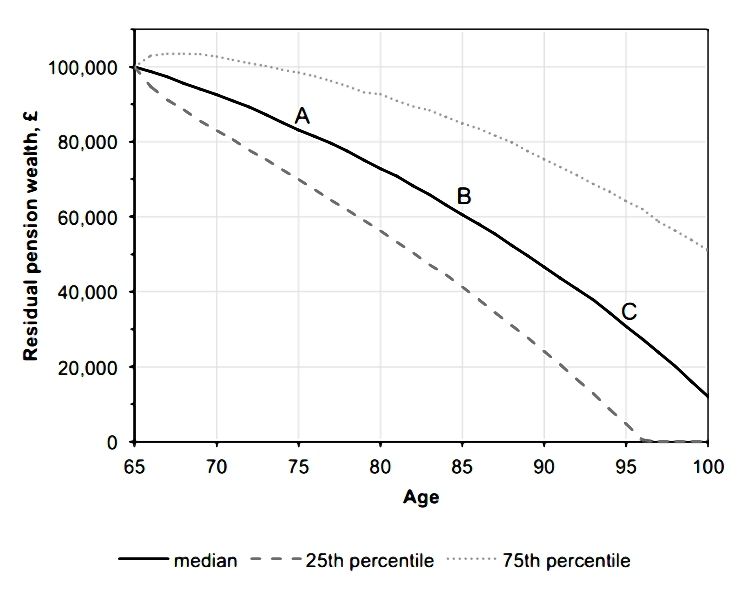 Planning retirement spending requires making an estimate of the expected age of death. Unfortunately this is a moving target. This is known as the selection effect. A second problem is longevity drift – the general increase in life expectancy over time, from better lifestyles and improved health care. The analysis ran 5,000 simulations of drawdown, using average real returns of 3% pa, with a standard deviation of 6% per annum. The authors belive this to be representative of a typical mixed equity / bond portfolio. 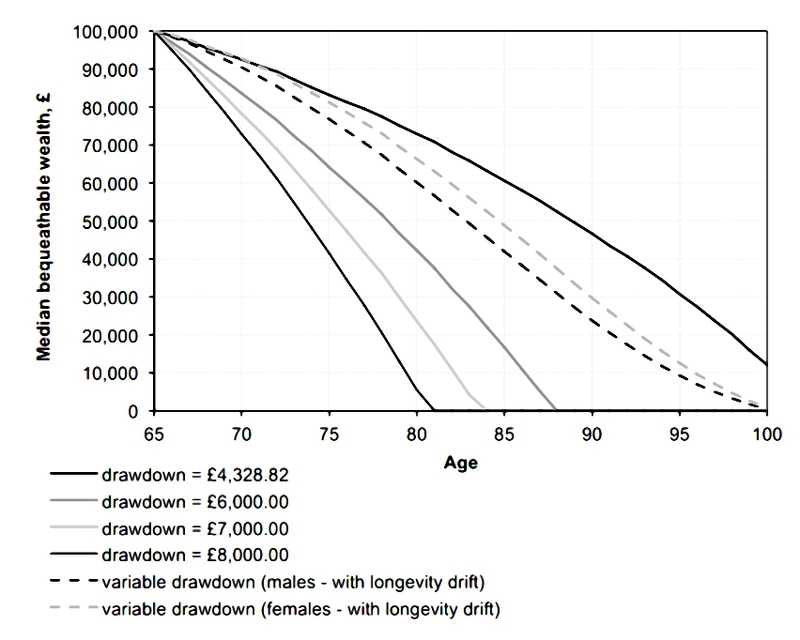 With a £100K starting pot, approximately 25% of pensioners run out of money after 30 years. 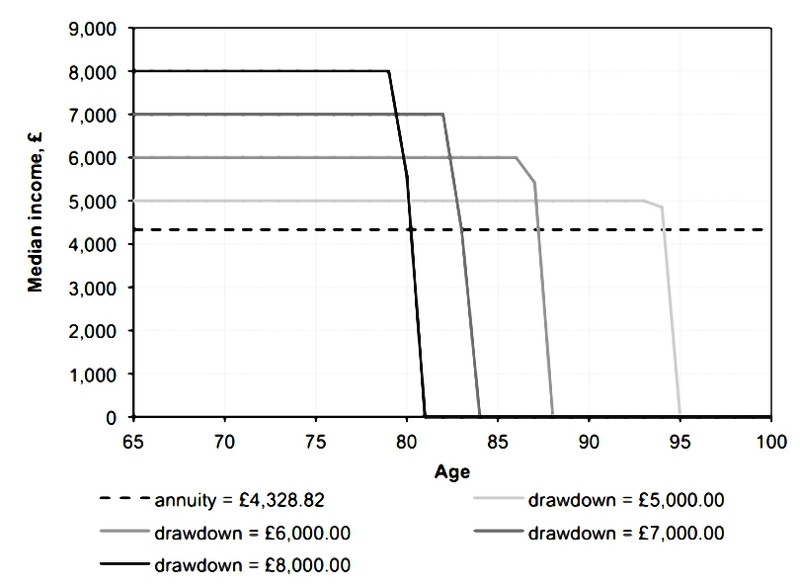 So deferring an annuity purchase will on average be advantageous. Almost everybody can last for 20 years by withdrawing the same amount as an annuity, and even after 25 years the failure rate is only 7%. 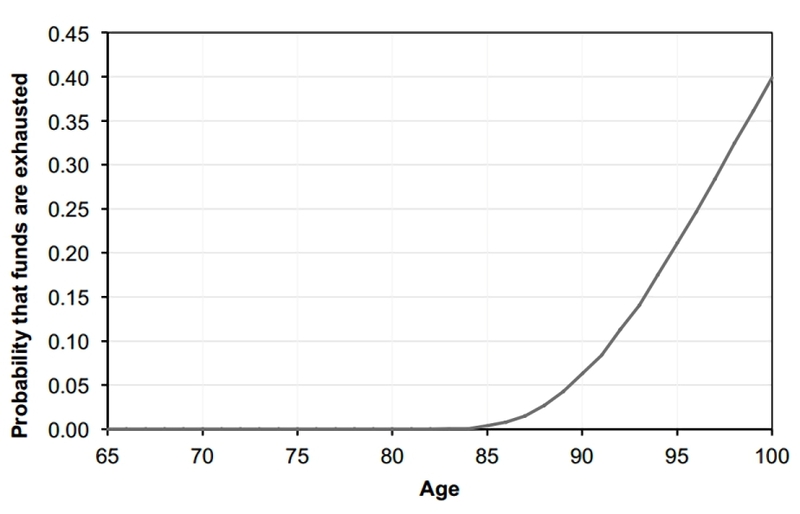 This represents the age of 90, by which time 58% of men will have died already. As we have seen previously, fixed withdrawals can have serious impacts after market falls – this is known as pound cost ravaging. 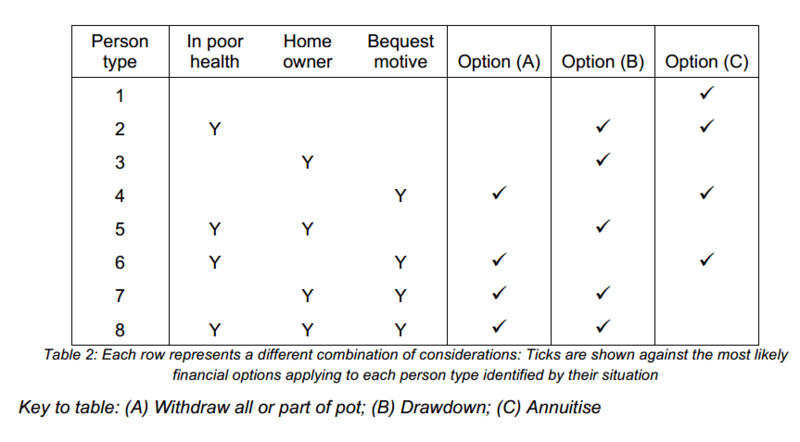 The report therefore recommends that income drawdown is varied to reflect the size of the pot remaining. A simple version of this strategy would be to withdraw a fixed percentage each year. Many drawdown fans will have reached this conclusion independently. There is much discussion of what constitutes a safe withdrawal rate (SWR) amongst those working towards financial independence. This calculation can be repeated each year using the remaining pot size and a new life expectancy estimate. I would argue that 4.6% is quite an aggressive SWR, and most retirees would do better to start at around 4% pa and observe whether the size of their pot increases of decreases. 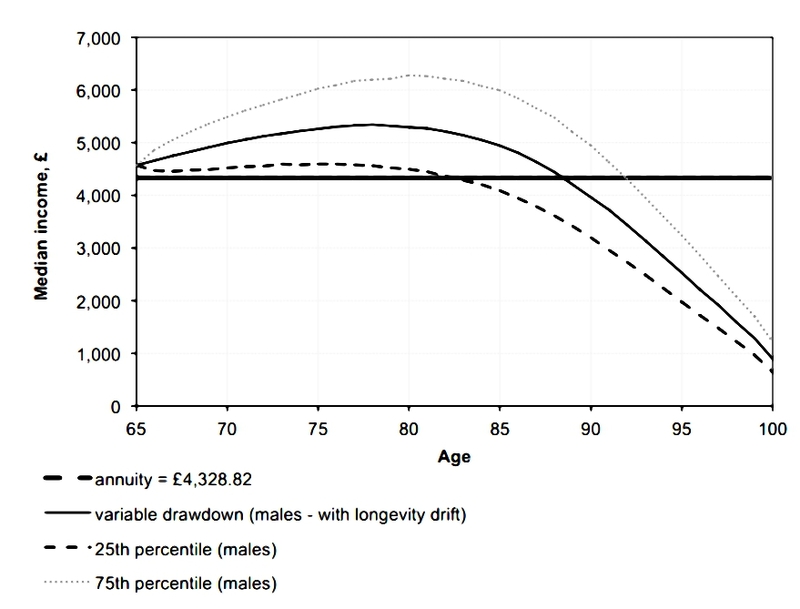 The average retiree would be able to withdraw more than the annuity level until the age of 89. The report has quite a long list of conclusions. Emphasis and comments below are mine. It’s good to see an industry report that finally acknowledges the elephant in the room. For a variety of reasons, annuities don’t work any more. The challenge for the investment industry is to handle the transition to drawdown. Previous story Autumn Statement 2015 – U-turn or spin?